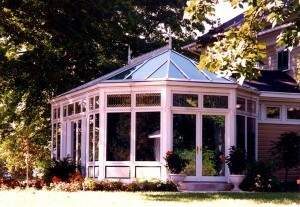 Masterfully designed dual octagon ended conservatory by architect for his own private residence. 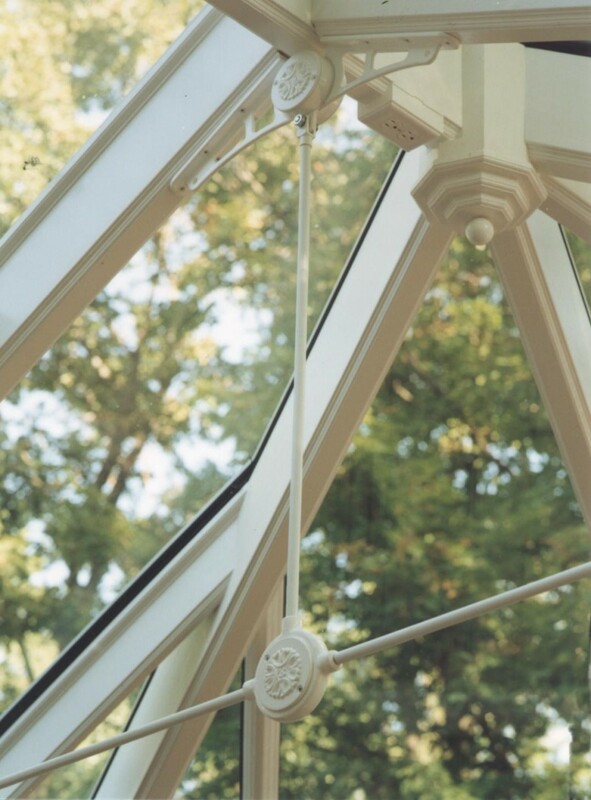 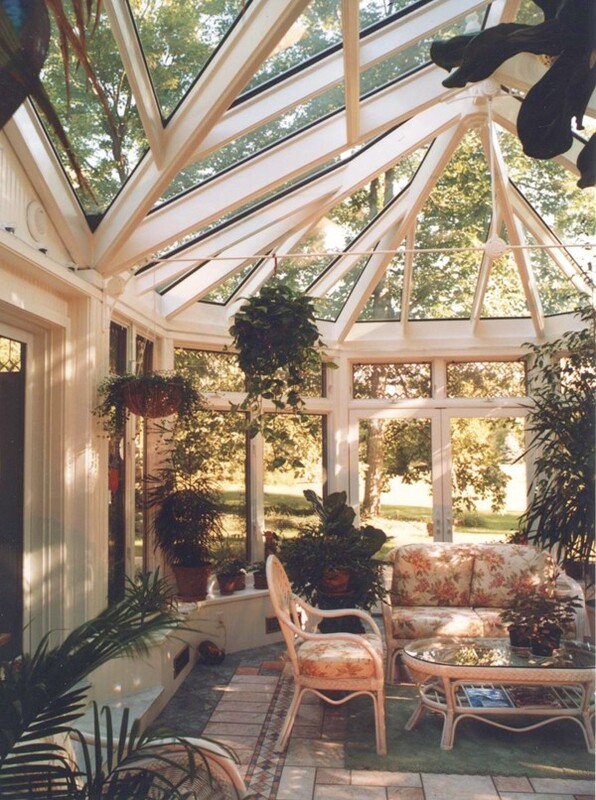 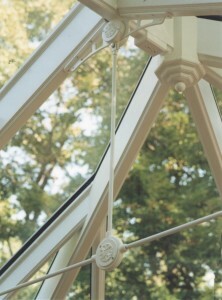 This free-standing conservatory has a reverse gable link to the main house. 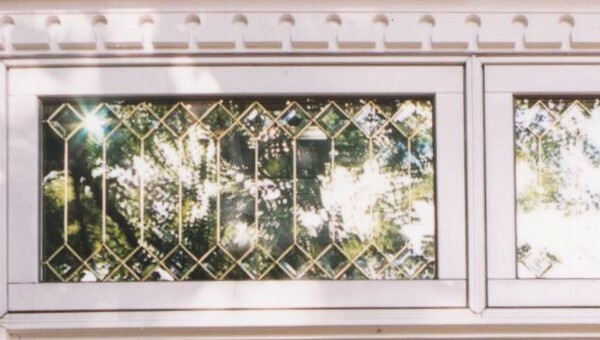 It features wood frame construction, operable leaded glass windows in transoms, operable roof vents, cast aluminum tie rods with decorative eave brackets, ridge cresting and finials.